Protest on for 9AM Tuesday, July 1st 9AM Kulani Main gate. Please pass the word for Pu’uhonua, not prisons. As expected, Judge Hara denied the motion for the preliminary injunction today against the reactivation of Kulani prison. Therefore the protest at the Kulani reactivation ceremony on Wed. July 1, 2014 9AM at the Kulani main gate is a go. See below for background. Please pass the word. Mahalo. Ohana Ho’opakele’s motion for a preliminary injunction to block the reactivation of Kulani Correctional Facility (KCF) is set for hearing on Monday, June 30th at 2PM in Hilo Circuit Court before Judge Glenn Hara. At issue if whether the State Department of Public Safety (DPS) violated Hawaii Environmental laws and Act 117 signed into law in 2012 which said Kulani is to be the preferred site for a Pu’uhonua as an alternative to prison. On Friday, June 20, 2014 Judge Hara denied Ohana Ho’opakele’s Motion for Summary Judgment (MSJ). Ohana Ho’opakele president, Palikapu Dedman said, “Watching how easily Judge Hara dismissed our Motion for Summary Judgment when the Attorney General’s lawyers hardly spoke against the motion, it becomes clear to us that the Environmental Assessment is mainly a procedure for the State of Hawai`i to develop whatever they want with just a show of protecting the environment. The process does not stand for the protection of the public and definitely not for protecting the rights of Hawaiians. We have provided clear evidence that Kulani is on Crown Lands. 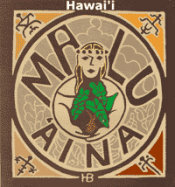 Money generated from Kingdom of Hawaii Crown Lands should be used for the betterment of Hawaiians and not to pay public officials working against the interest of Hawaiians.” The rejection of the MSJ opens the way for the reactivation of Kulani prison with a ceremony set for July 1st from 10AM-1PM at Kulani. 2. The prison system is not working. It’s a failed system with a 709% increase between 1980 and 2008, now costing $249 million annually. Car pools will meet at 8AM Tuesday, July 1 at the Equestrian center near the Panaewa Zoo for the trip to Kulani to protest the reactivation ceremony of Kulani prison. Bring a warm jacket, water and be prepared for rain. Please pass the word to others to join in this important protest. Mahalo. See below post of Ohana Ho’opakele press release. Please pass the word. Mahalo. A Justice Department memo attempts to rationalize the unthinkable. 1. The memo is retroactive. 2. Israeli law is cited as a precedent. 3. No evidence is presented. 4. The administration is acting as judge, jury and executioner. No independent oversight is sought, and no independent court had the chance to weigh in on the evidence. The Fifth Amendment, which prohibits being deprived of life or liberty without “due process” is ignored. 5. CIA’s role is acknowledged. The CIA has taken the lead in the drone program, providing a way for the U.S. to shield details of it, since the CIA is a covert intelligence agency. 6. The full justification for the “extrajudicial killings” has not been released. This legal memo is only one document that civil liberties groups and journalists are seeking. 7. The authorization to use military force (AUMF) is used to justify drone strikes. 8. Release of memo exposes Obama’s secretive administration. The Obama administration fought tooth and nail to prevent the release of this legal memo, and successfully sought to redact significant portions of the memo. 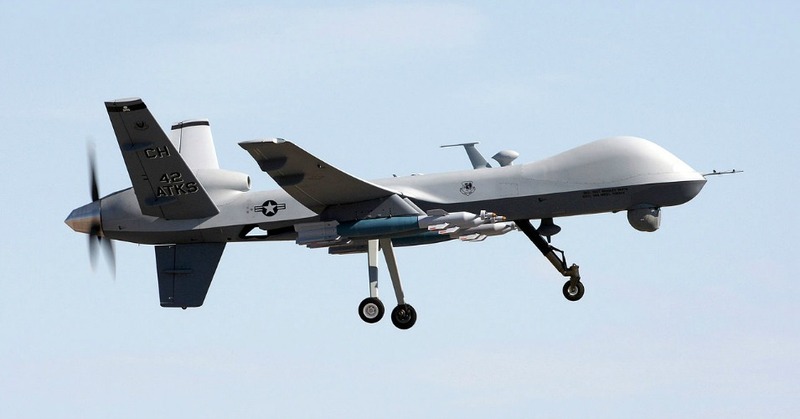 How many U.S. citizens have been assassinated by targeted drone strikes is not known. Three names of U.S. citizens killed by U.S. drone strikes have been made public. The U.S. has killed thousands of people by drone strikes in Iraq, Afghanistan, Pakistan, Yemen, Somalia, Libya, and possibly other countries. Drones train at the Army’s 133,000-acre Pohakuloa Training Area (PTA) in the center of Hawaii Island and other sites throughout Hawaii. Click on link above to read Hawaii Tribune-Heard news article. The state won Friday morning an important ruling in Hilo Circuit Court in its bid to reopen Kulani Correctional Facility.